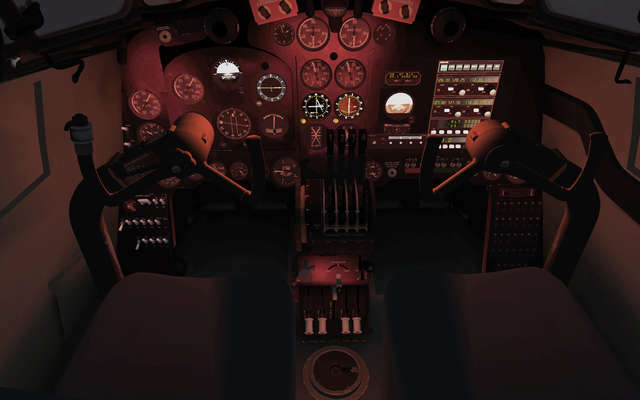 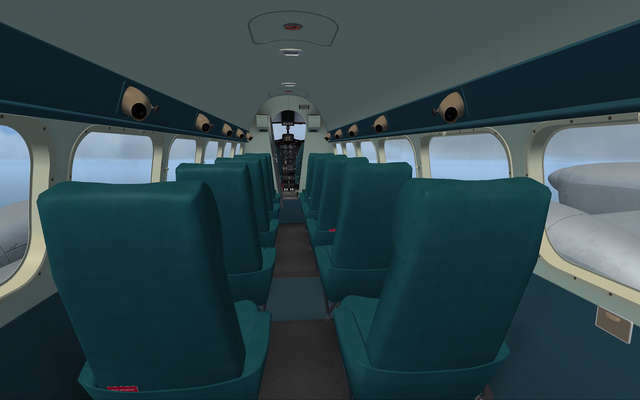 Discover the qualities of one of the iconic airliners of the 50s, 60s and 70s. 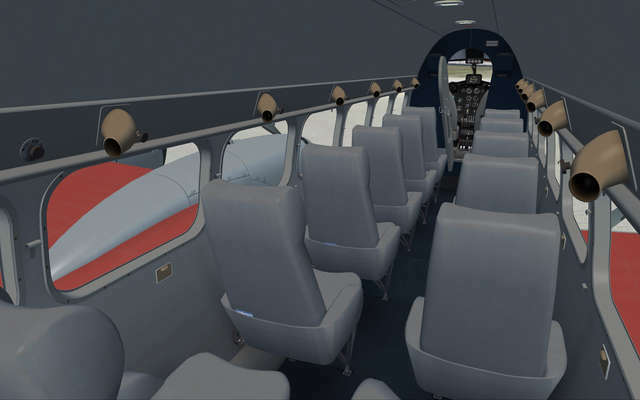 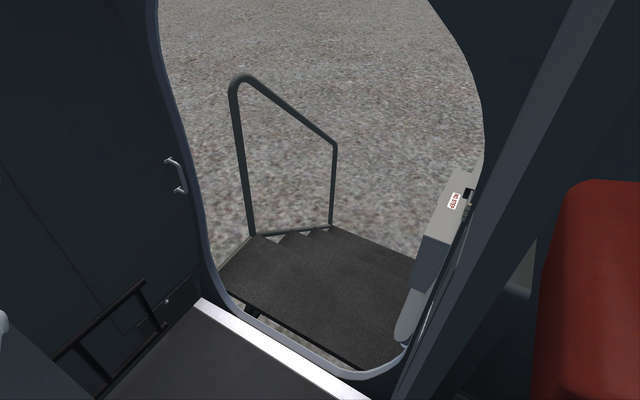 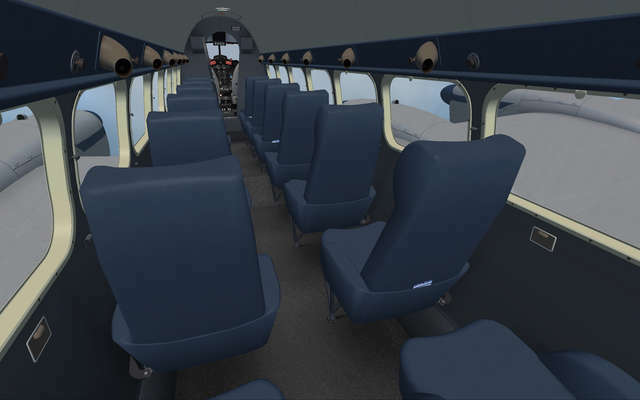 With a full passenger cabin, you can experience not only the challenging role of the pilot at the front, but also sit back in one of the 14 passenger seats and enjoy the views out of the large windows as the world goes by. 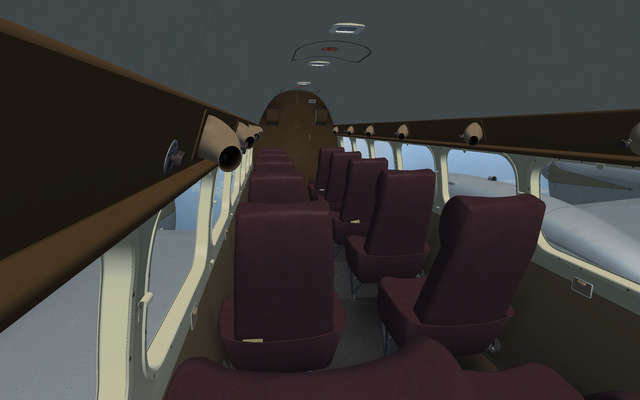 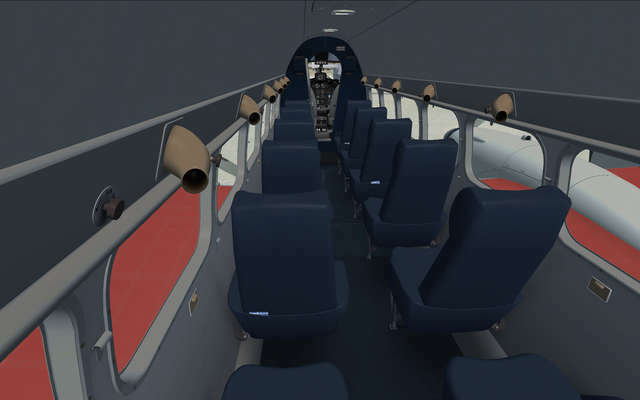 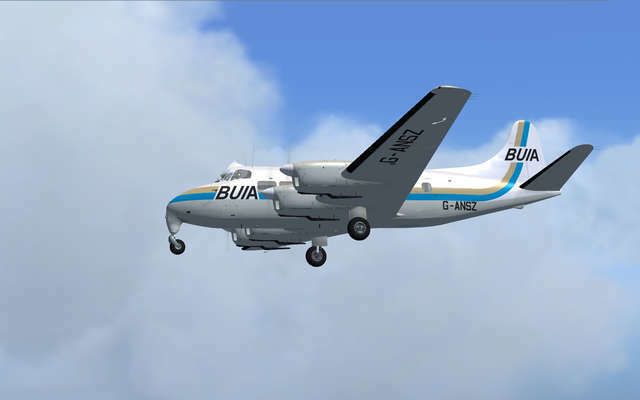 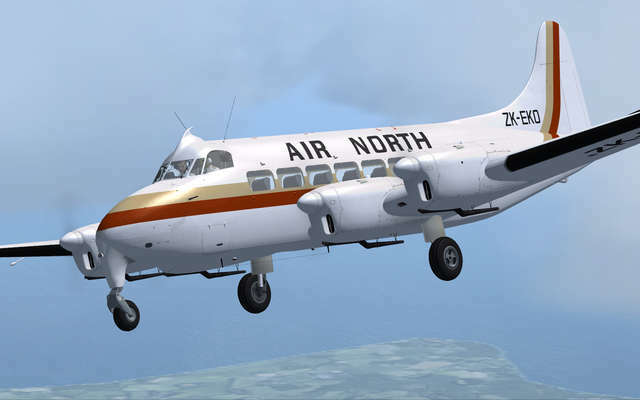 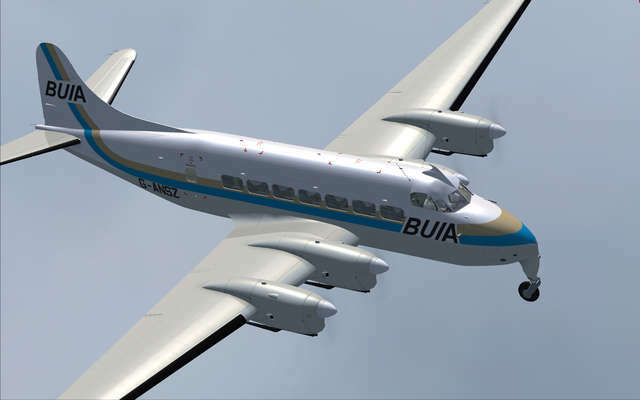 With this aircraft being a purposely-built rugged design, you are not confined just to large sophisticated airports but can also take your passengers and cargo to and from out-of-the-way places, sometimes (e.g. 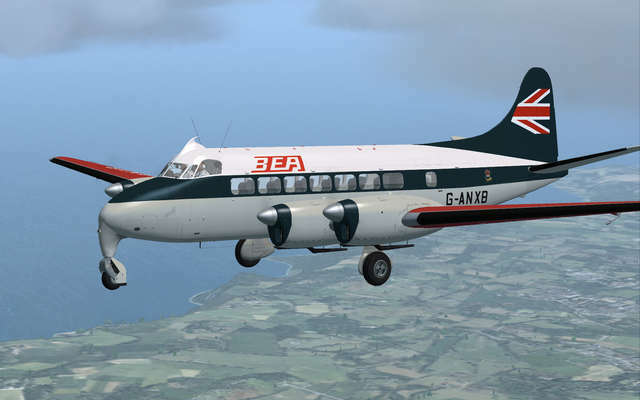 Barra, Scotland) with no runway at all! 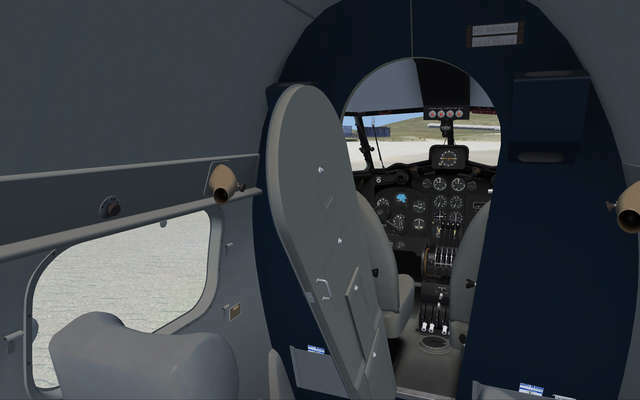 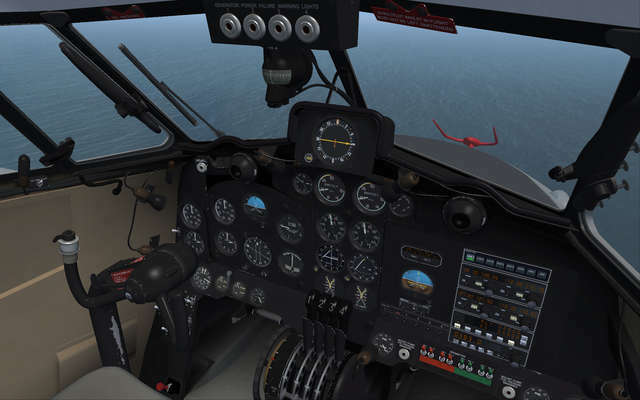 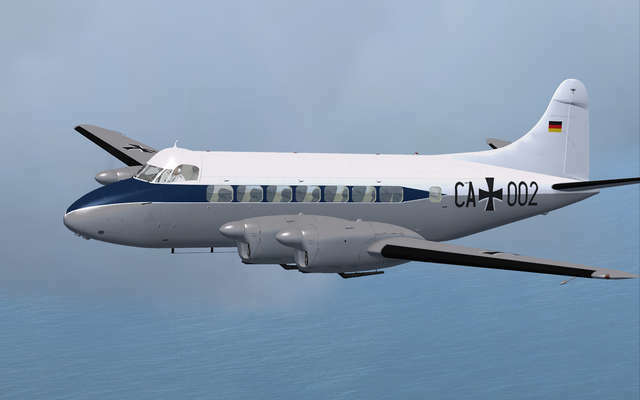 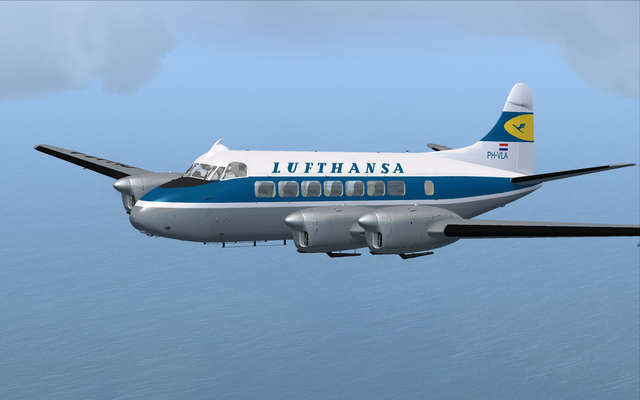 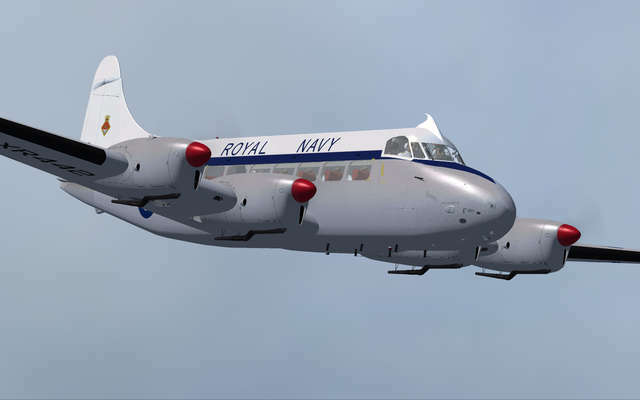 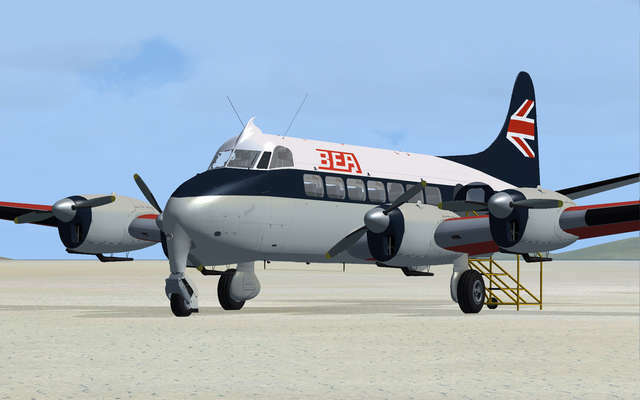 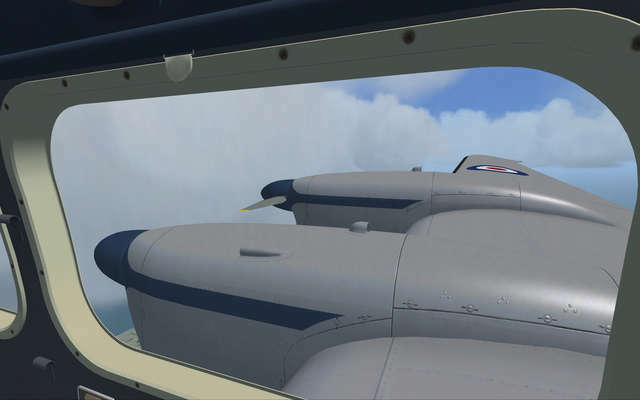 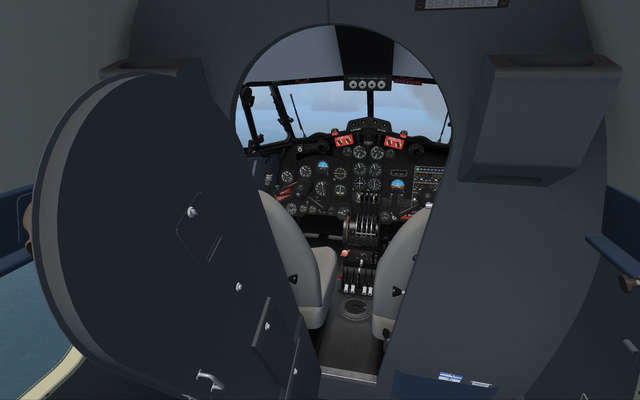 Unusually designed as both a single or dual pilot airliner, depending on requirements, this aircraft will give you opportunities to fly worldwide in a great variety of routes and places, in both civilian and military roles, just as the real Herons are famous for doing. 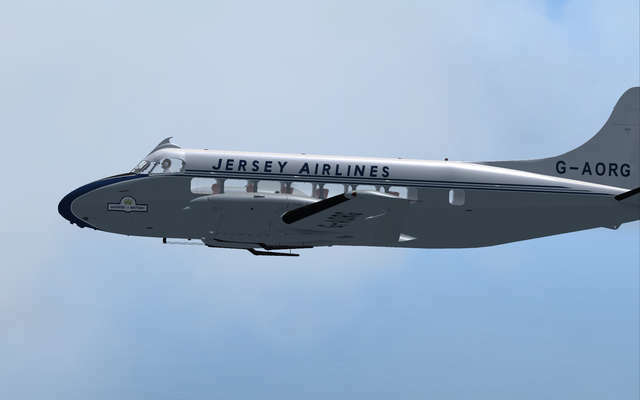 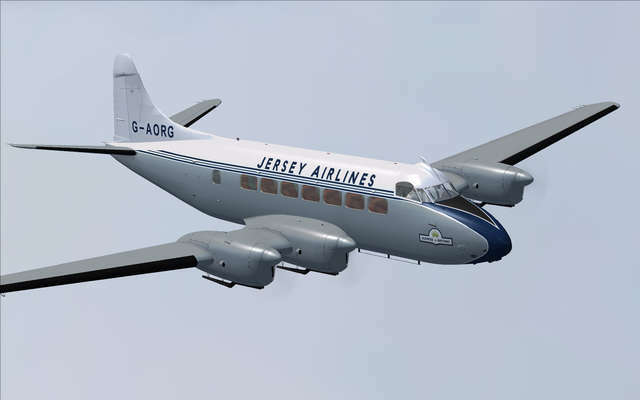 The De Havilland DH.114 Heron first flew on 10 May 1950. 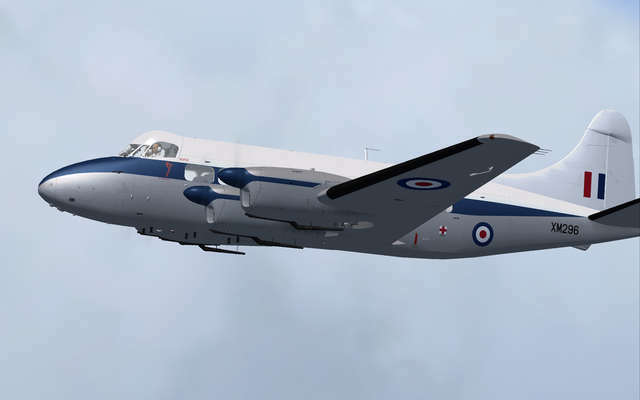 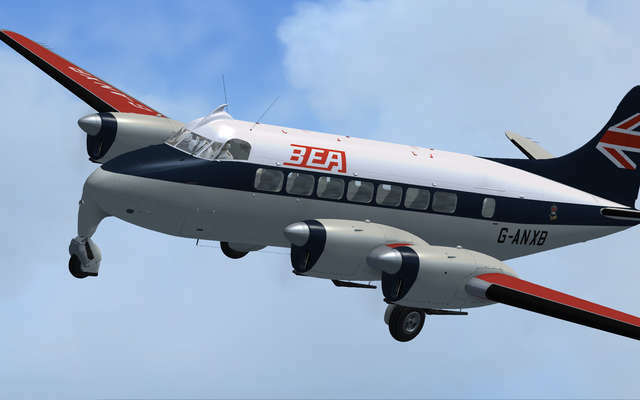 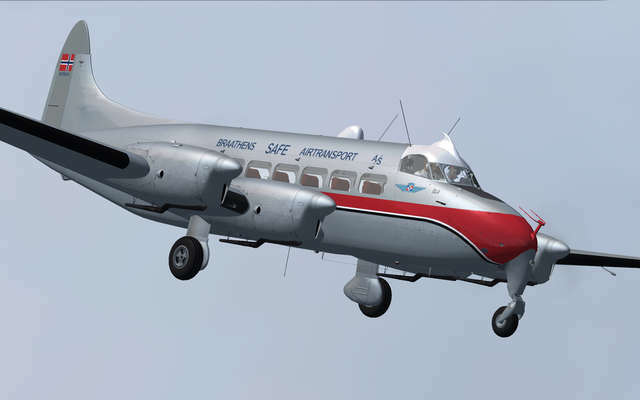 It was a development of the twin-engine De Havilland Dove/Devon, featuring a stretched fuselage and an increase from two to four engines. 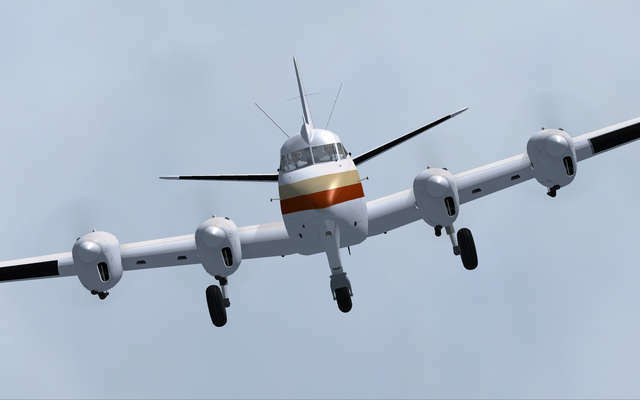 The Heron was first designed with a fixed undercarriage, later upgraded with retracting undercarriage, coupled with reliable un-geared un-supercharged Gipsy Queen 30 engines. 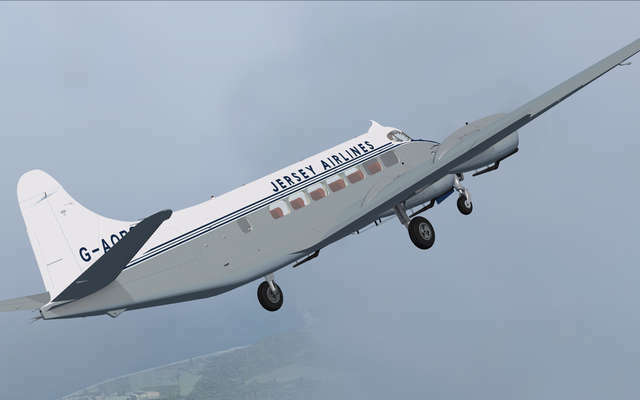 It was designed as a rugged, conventional low-wing monoplane that could be used on regional and commuter routes, with the emphasis on rugged simplicity, to produce an economical aircraft that could also be used in isolated and remote areas that did not possess modern airports. 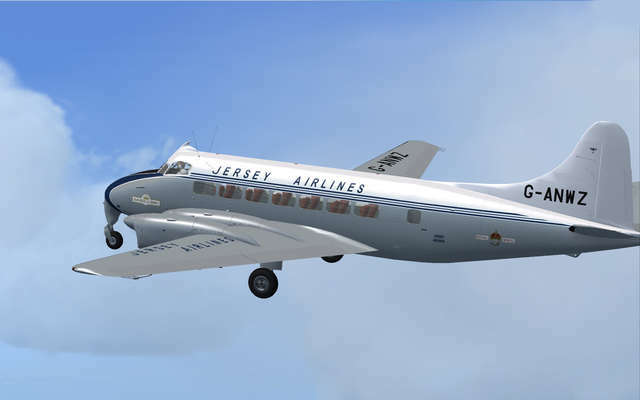 The Heron was not a great commercial success, primarily due to being underpowered, making revenue earning a challenge. 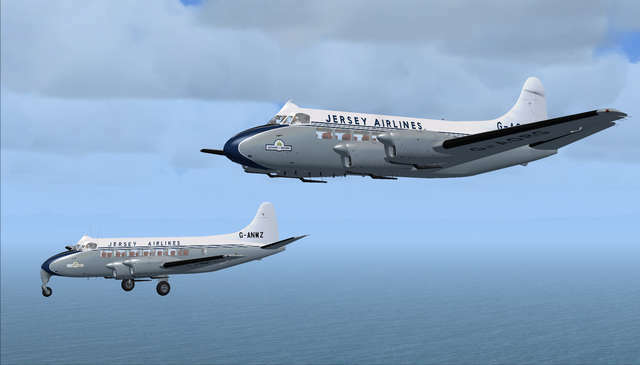 After production ceased in 1963, several companies, recognising the great potential of the Heron, undertook to re-engine the design, the most notable being that of the Riley Aircraft Corporation who installed Continental IO-520 power plants (not covered in this package). 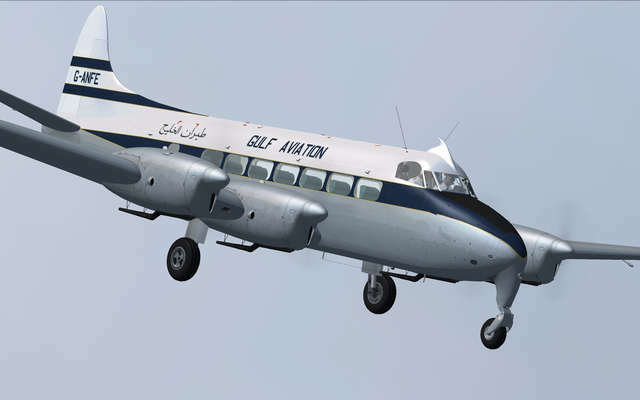 This enabled a great number of Herons to keep flying profitably well into the 1980s. 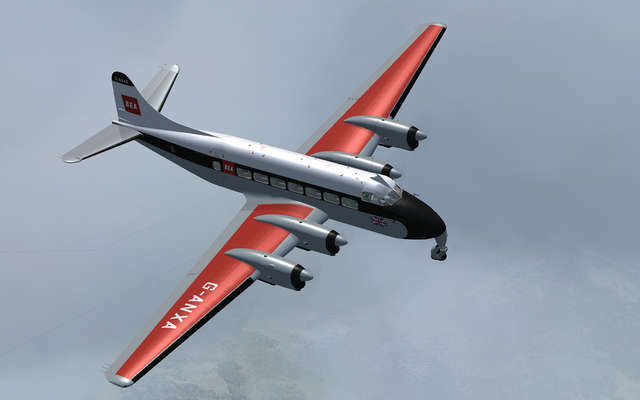 150 were built, exported to approximately 30 countries, in both civilian and military roles. 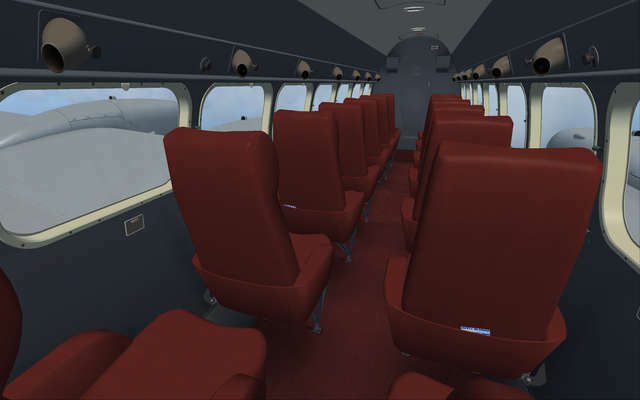 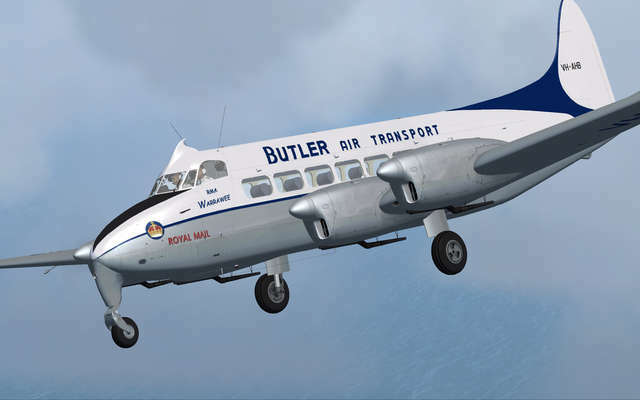 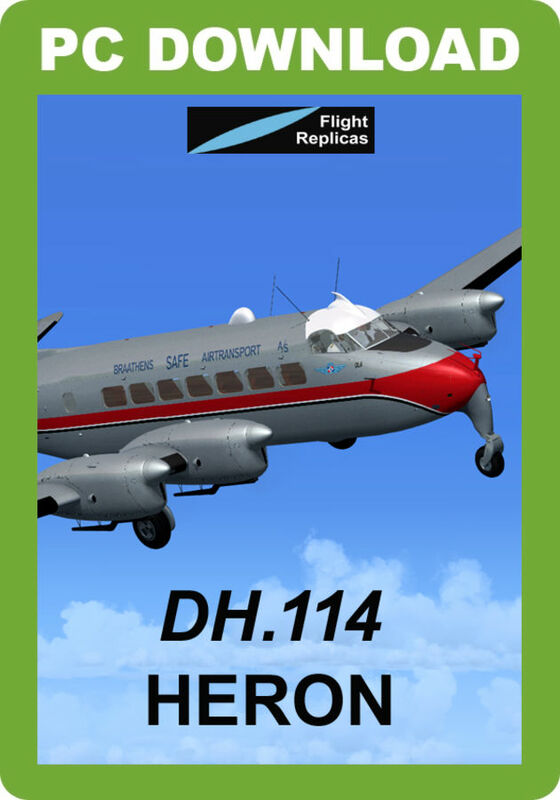 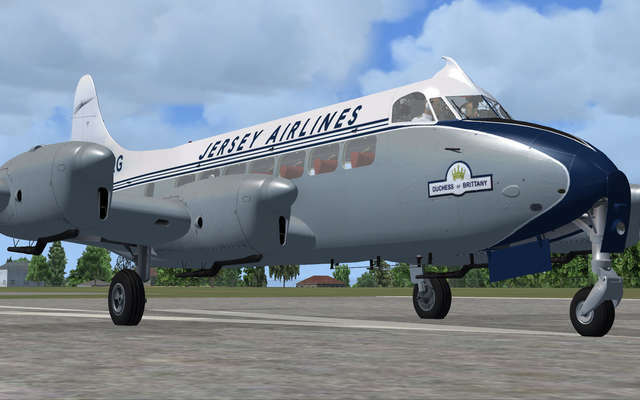 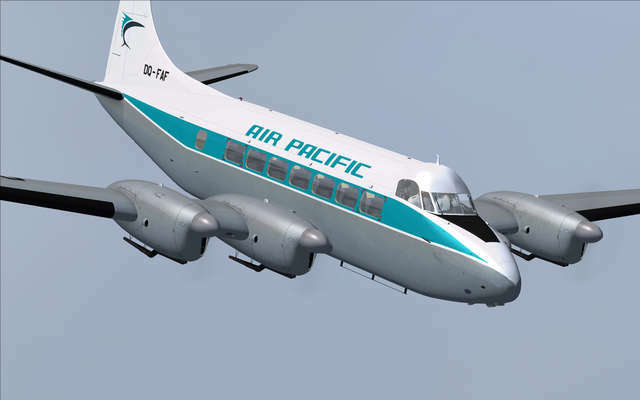 This Flight Replicas DH.114 Heron package presents nine models of this small and rugged propeller-driven British airliner, with fixed gear and retractable gear versions included and early and late model virtual cockpits which can be configured for single or dual pilot operation. 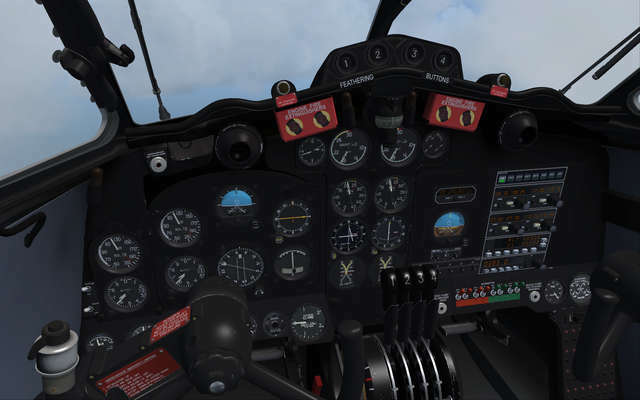 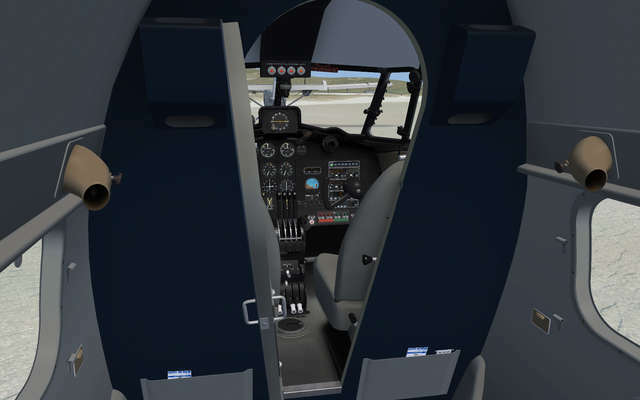 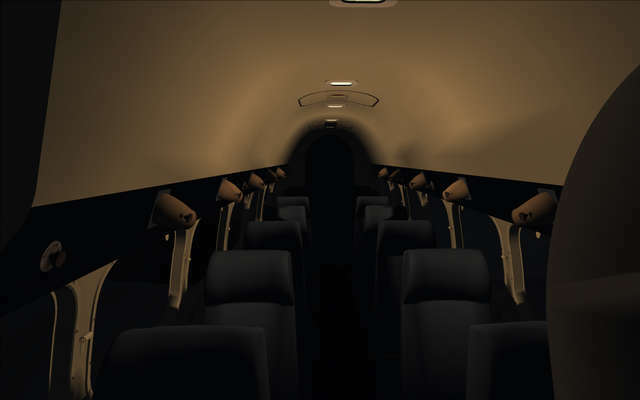 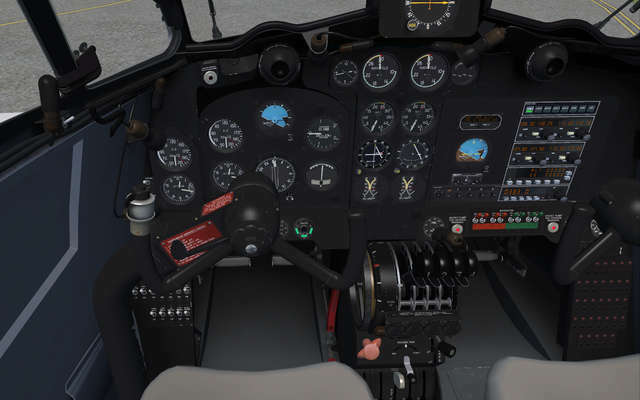 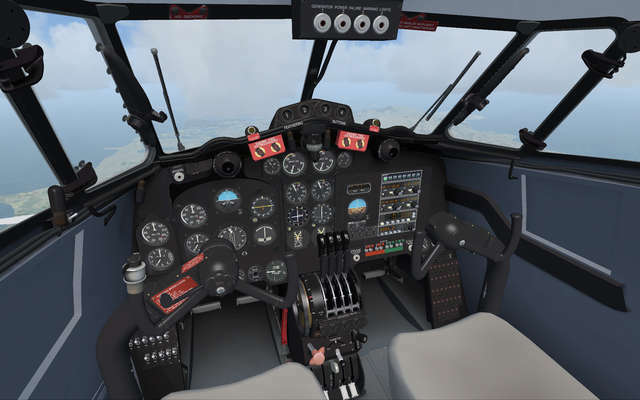 Features include a full NAVCOM radio and autopilot suite, fully feathering propellers on the late models, complete passenger cabin and anti-static vanes that move with airflow.